Insurance contract is a contract under which one party (the insurer) accepts significant insurance risk from another party (the policyholder) by agreeing to compensate the policyholder if a specified uncertain future event (the insured event) adversely affects the policyholder. How is accounting treatment for insurance contract? This post describes accounting standard for insurance contract with case example, adapted from IFRS 4, “Insurance Contract”. This post and [other post related to IAS & IFRS] are not proposed to replace the existing standard [IFRS 4] and its interpretation, but it is “yet another description of the standard”, illustrated with some case examples and sound practical insights. Why Accounting Standard for Insurance Contract [IFRS 4] Is Introduced? IFRS 4 is the first standard from the International Accounting Standards Board (IASB) on insurance contracts. The proposals set out in IFRS 4 are quite modest in comparison with the overhaul of insurance accounting that is envisaged by the IASB. IFRS 4 was introduced in order to allow insurance companies to comply with the adoption of International Financial Reporting Standards (IFRS) in Europe and elsewhere in 2005. The standard is designed to make limited improvements to accounting practices and to provide an insight into the key areas that relate to accounting for insurance contracts. What Does and Doesn’t IFRS 4 Apply to? All entities that issue policies that meet definition mentioned on the preface of this post of an insurance contract in IFRS 4 will have to apply the standard. IFRS 4 includes a new definition of an insurance contract, which will result in many “insurance policies” being re-designated as investment contracts and being subject to IAS 39. The standard does not apply to other assets and liabilities of the insurance companies, such as financial assets and financial liabilities, which fall within the scope of IAS 39. Similarly, it does not address the accounting required by policyholders. Additionally, IFRS 4 sets out new disclosure requirements for contracts that qualify as insurance, including details about future cash flows. The definition in IFRS 4 supersedes the indirect definition of “insurance contract” in IAS 32. IFRS 4 will cover most motor, travel, life, and property insurance contracts as well as reinsurance. However, some policies that transfer no significant insurance risk, such as savings and pension plans, will be covered by IAS 39 and will be treated as financial instruments irrespective of their legal form. IAS 39 will also apply to those contracts that principally transfer financial risk, such as credit derivatives and some financial reinsurance contracts. IFRS 4 does not apply to: product warranties, which are covered by IAS 18 and IAS 37; employers’ assets and liabilities under employee benefits plans, which are covered by IAS 19 and IFRS 2; and contingent consideration payable or receivable in a business combination, which is covered by IFRS 3, Business Combinations. An Exposure Draft, Financial Guarantee Contracts and Credit Insurance, proposes that the issuer of a financial guarantee contract should measure the contract initially at fair value. The proposed requirements apply to contracts meeting the definition of an insurance contract in IFRS 4. Insurance contracts will continue to be covered by existing accounting practices during this first phase of the development of a comprehensive set of standards on insurance. The IFRS actually exempts an insurer temporarily from some requirements of other standards, including the requirement to consider the IASB’s Framework in determining accounting policies. Prohibits provisions for possible claims under contracts that are not in existence at the balance sheet date. This includes catastrophe provisions and equalization provisions, which are effectively now outlawed. Sets out a minimum liability adequacy test that requires insurers to compare their recognized insurance liabilities against estimates of future cash flows. Additionally, there is a requirement to carry out an impairment test for reinsurance assets. There is a requirement for an insurer to keep insurance liabilities in its balance sheet until they are discharged. The IFRS also prohibits offsetting insurance liabilities against related reinsurance assets. Insurers can modify their existing accounting policies for insurance contracts as long as any changes meet the IASB’s criteria for improving the reliability of their financial statements. Insurers can use current market interest rates to value liabilities, thus bringing them more into line with movements in associated assets that are interest-sensitive. This measure does not need to be applied consistently across all insurance liabilities. However, insurers will need to designate the liabilities that will be measured using market rates. An insurer does not need to change its accounting policies on insurance contracts in order to eliminate excessive prudence. However, an insurer that already measures its insurance contracts with sufficient prudence should not introduce additional prudence. An insurer need not change its accounting policies for insurance contracts to eliminate future investment margins. However, entities can adjust their liabilities to reflect future investment margins if, and only if, this is part of a wider switch to a comprehensive investor-based accounting system. The IASB would require proof that this switch improves the relevance or reliability of the financial statements to such an extent that it outweighs the disadvantage caused by the inclusion of future investment margins. Entities will need to determine whether there are advantages in changing the accounting base as compared with the cost of a wholesale overhaul of the accounting system. If an insurer changes its accounting policies for insurance liabilities, it is allowed to reclassify some or all of its financial assets “at fair value through profit or loss”. There is a concession to insurers regarding the accounting on a business combination. Insurers can recognize an intangible asset that is the difference between the fair value and book value of the insurance liabilities taken on board. Such an asset does not exist within existing international standards, and it is excluded from the scope of IAS 36, Impairment of Assets, and IAS 38, Intangible Assets. Entities can continue to value insurance and investment contracts that have discretionary participation in profit features using their existing accounting policies. Any fixed guaranteed amount should be regarded as the minimum liability with the rest of the contract classified as an additional liability or included in equity, or even split between equity and liabilities. If the contract is not split in this way, the issuer of the contract should classify the whole contract as a liability. These requirements also apply to any financial instruments that contain a discretionary participation future. Certain derivative features in a contract, such as an index-linked option, may need to be separated at fair value. IAS 39 applies to derivatives that are embedded in an insurance contract unless the embedded derivative is itself an insurance contract. An insurer need not account for an embedded derivative separately at fair value if the embedded derivative meets the definition of an insurance contract. IFRS 4 requires an insurer to account separately for the deposit components of some insurance contracts in order to avoid the omission of assets and liabilities from the balance sheet. 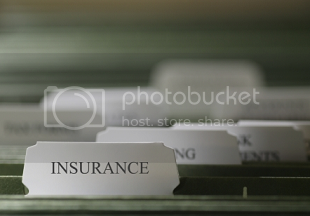 An insurance contract can contain both deposit and insurance components. An example might be a profit-sharing reinsurance contract where the cedent is given a guarantee as to the minimum repayment of the premium. As with embedded derivatives, insurers will need to identify any policies that may require unbundling. Generally speaking, any deposit component will be covered by IAS 39 and any insurance feature will be covered by existing accounting policies. Zurich Financial Services has flagged up a problem when IFRS 4 becomes effective for accounting periods beginning on or after January 1, 2005. The entity will be permitted to unbundle the insurance and deposit components of its insurance contracts. For a contract that is unbundled, the entity will be required to apply IAS 39 to the deposit component. IFRS 4 also clarifies the applicability of a practice that is often called shadow accounting. This practice would allow insurers to adjust their liabilities for any changes that have arisen if any unrealized gains and losses on securities have been realized. Any movements in the liability can be recognized in equity in line with the recognition of unrealized investment gains or losses. Entity A has a reinsurance contract that has these elements to it: A policyholder under a reinsurance contract pays premiums of $200 every year for 10 years. The entity sets up an experience account equal to 80% of the cumulative premiums less 80% of the cumulative claims under the policy. If the balance in the experience account ever becomes negative, the policyholder has to pay an additional premium based on the balance on the experience account divided by the number of years the policy has left to run. At the end of the contract, if the balance on the experience account is positive, it is refunded to the policyholder. If the balance is negative, the policyholder has to pay the amount as an additional premium. The policy is not able to be canceled before the end of the contract, and the maximum loss that the policyholder is required to pay in any year is $300. The question is: How should the re-insurance contract be accounted for in the financial statements of the insurer? The contract is an insurance contract because it transfers a significant insurance risk to the reinsurer. Where there are no claims on the contract, the policyholder will receive $1,600 at the end of year 10, which is 80% of the cumulative premiums of $2,000. IFRS 4 basically says that the policyholder has made a loan that the reinsurer will repay in one installment in year 10. If current policies of the reinsurer are that it should recognize a liability under the contract, then unbundling is permitted but not required. However, if the reinsurer does not have such policies, then IFRS 4 would require the reinsurer to unbundle the contract. If the contract is unbundled, each payment by the policyholder has two components: a loan advance payment and a payment for insurance cover. IAS 39 will be used to value the deposit element—the loan—and it will be measured initially at fair value. The fair value of the deposit element would be calculated by discounting back the future loan repayment in year 10 using an annuity method. If the policyholder makes a claim, then this in itself will be unbundled into a claim of $X and a loan of $Y, which will be repaid in installments over the life of the policy. IFRS 4 adopts the so-called principles-based approach to disclosure. Information should be disclosed that helps the user to understand the amounts in the insurer’s financial statements that arise from insurance contracts. Insurers will also need to give more details about the risks that they incur, including any concentration of risk and the impact of market variables on the key assumptions that are used. Information that helps users understand the amount, timing, and uncertainty of future cash flows is also required. The terms and conditions of insurance contracts that have a material affect on the amount, timing, and uncertainty of the insurer’s future cash flows also have to be disclosed. Information about the actual claims as compared with previous estimates needs disclosure, and information about insurance rate risk and credit rate risk that IAS 32 would require should be shown. Information about exposures to interest rate risk or market rate risk under embedded derivatives contained in a host insurance contract should be shown if the insurer does not show the embedded derivatives at fair value. However, insurers will not need to disclose the fair value of their insurance contracts at present but will need to disclose the gains and losses from purchased reinsurance contracts. Greater transparency will intensify the focus on risk management. Sensitivity to risk is likely to emerge as the key differential between insurance entities. Entities should apply the IFRS for annual periods beginning on or after January 1, 2005. Entity A writes a single policy for a $1,000 premium and expects claims to be made of $600 in year 4. At the time of writing the policy, there are commission costs paid of $200. Assume a discount rate of 3% risk-free. The entity says that if a provision for risk and uncertainty were to be made, it would amount to $250, and that this risk would expire evenly over years 2, 3, and 4. Under existing policies, the entity would spread the net premiums, the claims expense, and the commissioning costs over the first two years of the policy. Investment returns in years 1 and 2 are $20 and $40 respectively. How would treatment of this policy using a deferral and matching approach in years 1 and 2 that would be acceptable under IFRS 4? How would the treatment differ if a “fair value” approach were used? If a fair value approach were used, the whole of the premium earned would be credited in year 1. The expected claims would be provided for on a discounted basis and then unwound over the period to year 4. The provision for risk and uncertainty would be made in year 1 and unwound over the following three years. Commission costs would all be charged in year 1 also. The investment returns would be treated in the same way as in the deferral approach.